April 15, 2015: We had the rare privilege of assisting a soul at the end of life in the physical body. Five of us were brought together by divine order at just the right moment. 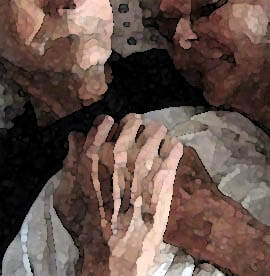 We were guided to care for a beloved husband at home after death. The sacred energy that fills a room when washing, dressing and preparing a loved one to lie in honor in his own home is indefinable. Hearts were filled with joy and sorrow and peace- appreciating a life well lived and a death done well. in creating a loving, personal home funeral for her husband.